YUICT provides a forum of recent advances in various aspects of the theory and practice of information and communication technology to solve national challenges that are faced by KSA . YUICT allows the top tier of research and industry to interact. YUICT will be held at Al Yamamah University, Riyadh, KSA. 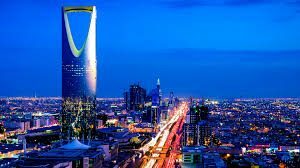 Riyadh is a vibrant city hosting large number of hi-tech and IT businesses companies, and higher education institutions. The main theme of this forum is the challenges, opportunities, and the state of the art solutions to national problems in light of the Saudi Arabia’s vision 2030. The YUICT 2018 program will include guest speakers, panel discussions, industrial sessions, and peer-reviewed research presentations. YUICT will be held at Al Yamamah University located in the north of Riyadh, the capital and the largest city in the Kingdom with more than 6 million residents. It has been growing rapidly in all sectors such as education, technology, and business.